Myron Pourier in Pine Ridge SD. When I met Myron Pourier at his home on the Pine Ridge Reservation last summer, he was working to change the name of Harney Peak to Black Elk Peak. Myron is the great great grandson of Black Elk, and saw this effort as a symbolic step toward reconciliation. Just an hour ago, as I was doing final revisions on the book that Myron’s story is in, I saw that The Federal Board of Geographic Names voted to change Harney Peak to Black Elk Peak. I’ll share the rest of Myron’s story here…and then I’ll get back to editing. I think I’ll leave his story the way it is, and add a little note at the bottom that as we were going to press, his efforts were successful. Myron Pourier is the great great grandson of Black Elk. He lives on the Pine Ridge Reservation in South Dakota and has proudly served in the U.S. Military, as well as on the Tribal Council of the Oglala Sioux. Myron is working to change the name of Harney Peak in the Black Hills to Black Elk Peak. The mountain, sacred to many Native Americans, was named after General William S. Harney, who led an 1855 punitive battle that resulted in the massacre of nearly 100 native men, women, and children. “My job as a descendant of Black Elk is to maintain a peaceful campaign for our cultural diversity, to unify people of all walks of life through a mutual understanding of who we are, and to respect one another through compassion, humility, and love. We use a very powerful word when we finish praying: Mitakuye Oyasin. Many people say it’s like the word amen, but it’s not. Its English translation is “we are all related.” Through prayer, we’re all related. Through all walks of life, we are related as one in unity. Right now I don’t think there’s a group of Native Americans in the United States that trusts the U.S. government or the Europeans. This is based on historical trauma, and our treaties being broken continuously. We had trillions of dollars in gold taken out of our Black Hills, stolen from us. We’re the poorest county in the United States. Because we did not have the power and authority, they overwhelmed us and put us on these reservations, and broke the treaties. How do we bridge that gap? We need to take our message to the federal government through peaceful prayer and through movements that bring us together in an honorable way. It would be a big step for the government to rename this mountain Black Elk Peak. It will bring spiritual healing, not only for our people, but for all walks of life. It’s going to unite many people. It may even be a starting point for a whole new peaceful movement. I know I’m going to continue moving forward through cultural diversity. I welcome those that want to join me on this journey and spread the word to all walks of life. We don’t know when we’re going to leave this world. Nobody knows but the creator. My thing is to move fast and move quick and spread the word in a peaceful way. What do you make of Myron’s point that we’re all related? How does your sense of spirituality relate to this point? To what extent is your definition of peace related to your trust/mistrust of the government? How does your relationship to the government differ from Myron’s description of his people’s relationship with the government? What are some similarities? 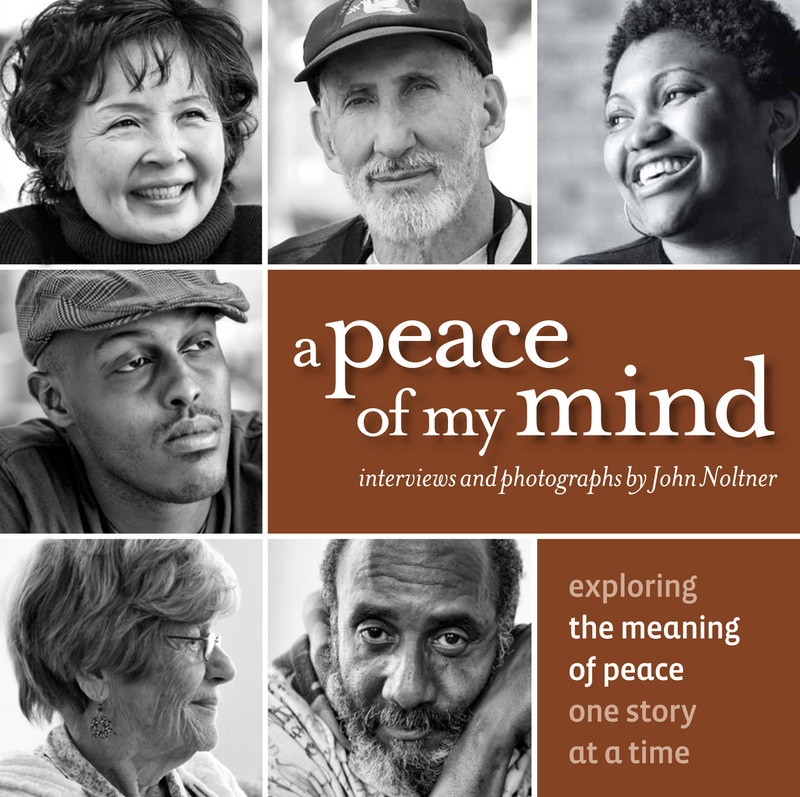 How is your definition of peace tied to your sense of community? How much of your personal identity is defined by the people you are surrounded by? When have you experienced a broken treaty? How did you move forward after it was broken? Myron talks about the importance of changing the name of Harney Peak. What significance do names have?